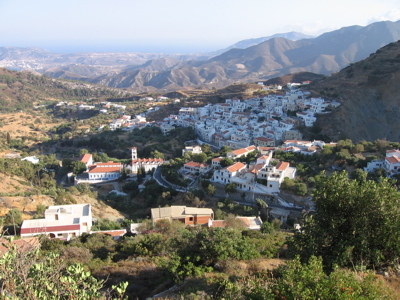 Aperi, located 8 km from Pigadia, is known for being the richest village of Karpathos. Many of its inhabitants went to the U.S. to make their fortunes in the latter half of the 20th century, and it shows. Aperi was the original capital of Karpathos. Now, the Greek Orthodox Archbishop of Karpathos and Kassos is located here. There are many small coffeehouses and restaurants here, so there are things to do in this village (other than look at the exquisite houses). A note to drivers: if you are driving to other parts of the island, please take the relatively new "Aperi bypass" road, as the main road through the village is very narrow. Not only is this a safer way to travel, the villagers will appreciate this greatly.